The book Political Corruption seen by Journalists and Politicians is the fourth collective publication in the context of the project Political Corruption in Media: a compared perspective (FCT: Reference: FCT PTDC/IVC-COM/5244/2012), coordinated by Isabel Ferin Cunha. 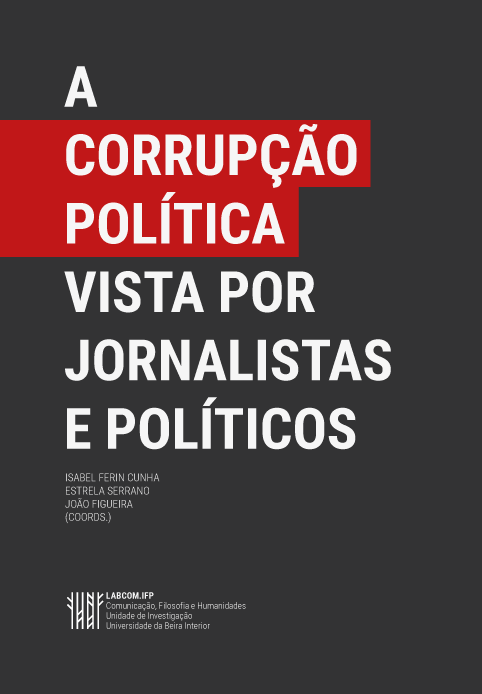 The book contains a preface by the Deputy General Prosecutor and national member at Eurojust, António Cluny, and three articles by the project researchers, Isabel Ferin Cunha, Estrela Serrano and João Figueira, which talk about the relationship between Media, Journalism, Justice and Politics. However, the work’s uniqueness is in the presentation of results of interviews with politicians and journalists. The interviews with politicians occur in the context of parliamentary inquiries and are presented by Estrela Serrano. The 13 interviews with journalists were conducted by Joao Figueira. Through the interviews with politicians we learned about their perceptions regarding Justice and the journalists’ performances, based on the corruption cases studied in the project — BPN, Hidden Face (“Face Oculta”), Freeport and Submarines. By means of interviews with journalists we understood the constraints to which they are subjected, as well as the autonomy that they have to produce their own autonomous research in what the judicial investigation is concerned.